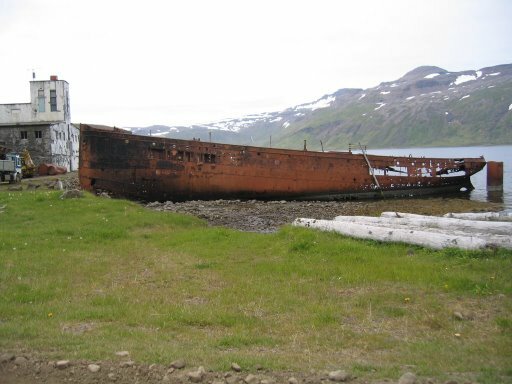 Westfjords in Iceland-Go west for something completely different! GO to the wildest WEST! In this part of the country, the lava fields have cooled off, even though there is the occasional hot spring here and there. 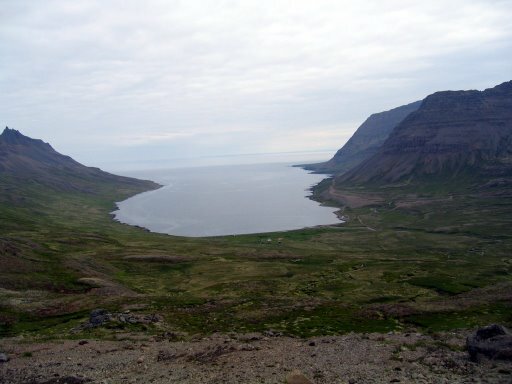 The Westfjords are not a high-pressure zone, nor are they a hot-spot. Your ordinary GSM will not work. The landscape of deep fjords and rocky mountains js striking and impressive. This part of the country is rather sparsely populated. 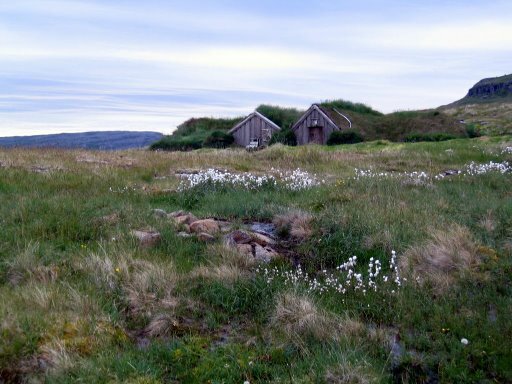 In July 2006, we visited the eastern part of the Westfjords peninsula for the first time in our lives, and we were impressed. The wilderness is something else, the landscapes are sheer magic, stark and barren. 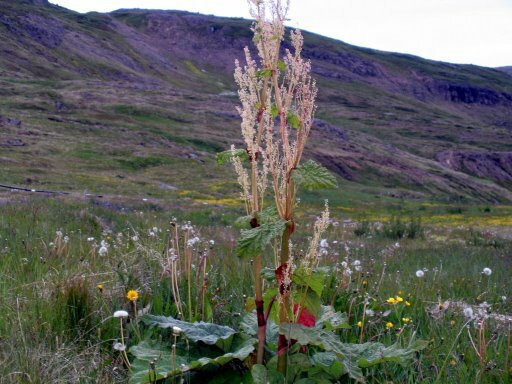 Indeed, the Westfjords have long been famous for their sorcerers. In the old days when they were burning witches in Europe, there were sorcerers hunts in Iceland, while the witches were mostly left alone. There are wide stretches of moors and marshes along the coast. Sheep have not been grazing on these for a long time, and the native vegetation is regaining its former glory. You have quite a bit of a drive ahead of you through a varied landscape. When you drive from There are places ideal for a picnic on the way, so it is a good idea to take a thermos flask, a sandwich and some fruit along with you. The temperatures will drop as you go nearer the Arctic circle, and the coastline you will follow does not benefit much from the Gulf Stream, remote as it is, so be sure to take sweaters and mittens and warm things with you. 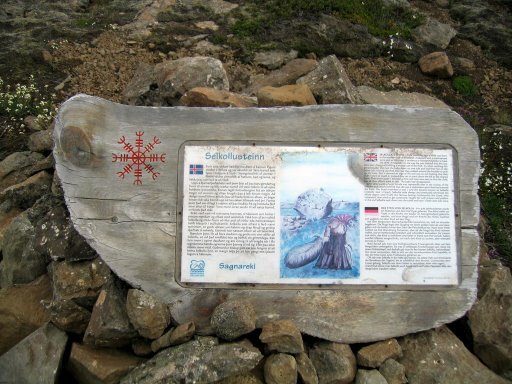 If you are driving from Reykjavík, you head north (Akureyri) until you see signposts for Hólmavík. You may decide to visit that town. It features a sorcery museum. 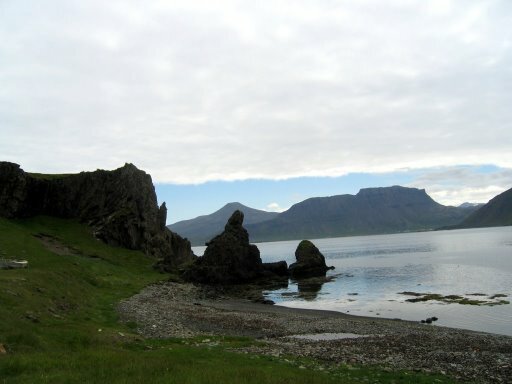 We recommend that you follow road 643 along the coastline to Drangsnes, a picturesque fishing village facing the beautiful island of Grímsey. 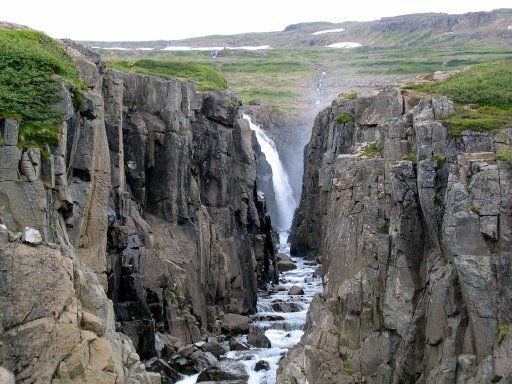 You drive into the small fjord Bjarnarfjörður, a mysterious place of marshes, waterfalls and spooky rock formations. 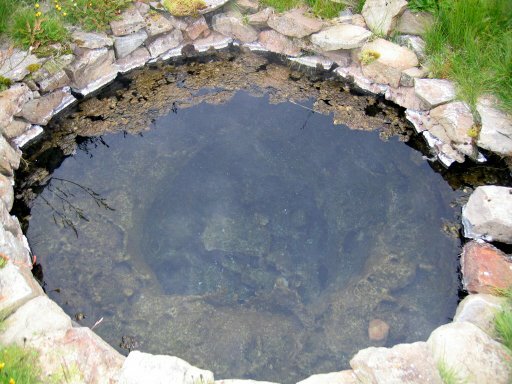 There is a camping ground at Laugarhóll, the ancient pool of bishop Guðmundur, a good man who was famous for blessing springs and fountains. The sorcerers abode is worth a visit. Both the pool and the sorcerer's abode are located in an ancient farmland called Klúka. 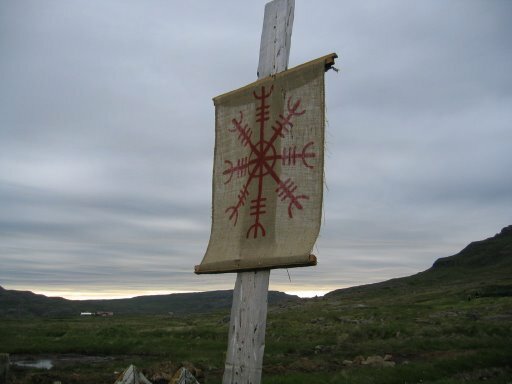 From Klúka, the road leads east and north along the coast, across farmlands long deserted. Follow the road as far as it will take you. While youre at it, we strongly recommed a dip in the astonishing Krossá swimming pool located on the seashore, as close to the ocean as possible. You have reached the end of the world inhabited by man. 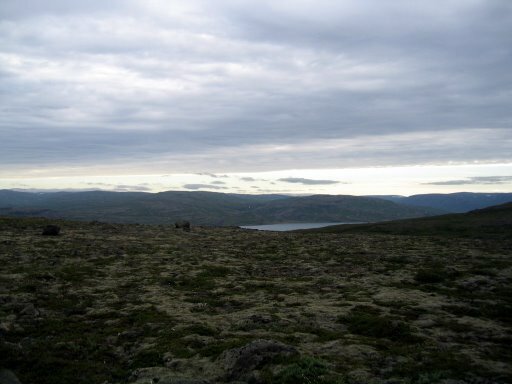 There is a hiking trail that will lead you across the wilderness to the desolate Hornstrandir. We did not venture to go that far, but we will definitely!